It always bothers me when I read “Best Books of ___________ (insert year)” lists and find that Young Adult novels are absent. You can find “Best YA Books of ________” lists, but typically YA books don’t make it in “normal” or “typical” books lists. It’s my goal to change that. I want to create a paradigm shift about the YA genre. I want to see hefty YA books recognized for their brilliance, not cast aside to crazy weird YA fangirls in the corner of the library. It’s time for YA books to come into the light and to be recognized for their craft and themes. It’s time for YA to join the literary canon. So I want to do a few posts about the YA genre. I’ve noticed that a lot of popular books in 2014 and 2015 were related to social justice, racism, and social disparity. Did you know that many YA books deal with these issues? And the beauty of YA is they can wrestle with social justice topics from the coming-of-age perspective of teenagers rather than the world-weary worldview of adults. In addition, many fantasy YA books take on difficult societal and political topics. I just saw Divergent author Veronica Roth at YALLFest, and at a Space/Alien panel she said, “The way we depict aliens is the way we feel about The Other.” Brilliant, right? And at the 2013 YALLFest, another YA author (I think it was Leigh Bardugo but I can’t find my notes!) talked about how it’s sometimes easier to write fantasy because you can get away with more. Fantasy books can be a way to address social issues in the real world without offending people in the real world. She pointed out that fantasy books that address tough issues are rarely banned or protested, while realistic fiction books that address the same issues often are. As you can see, there is a lot of room and and opportunity in the YA genre for writing on social justice. So, are you social justice person? Do you like to read? Here are some YA books that might be right up your alley! 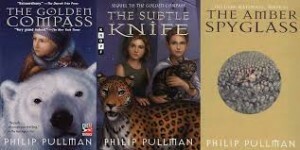 His Dark Materials Series by Philip Pullman – Bypass the flopped Golden Compass movie and go straight for the books. This trilogy follows a teenager named Lyra on adventures where she has to deal with societal, political, and religious forces. These books will make you think. 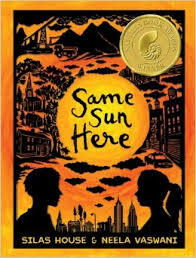 Same Sun Here by Silas House and Neela Vaswani – This book is written as a series of letters between Meena, an Indian immigrant living in NYC, and River, a coal miner’s son from Kentucky. Though an unlikely pair, the penpals discover that while their lives are vastly different on the outside, they actually have a lot in common. 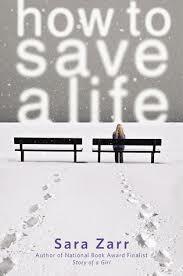 How to Save a Life by Sara Zarr – When pregnant Mandy shows up in the lives of wealthy Jill and her mom, Jill’s life is thrown into confusion. Mandy is different, but Jill doesn’t understand how Mandy grew up – poor, unwanted, and regularly raped by her mom’s boyfriend. As Jill deals with her grief over her recently deceased father, she eventually becomes friends with Mandy. This story helps blur the lines between socio-economic differences as two families help each other heal. The Partials Series by Dan Wells – Set in the future, this dystopian series sets humans against partials – creatures who are part human, part AI who were created to be soldiers. Now that the Partial Wars are over, the partials and the humans have to decide if they will trust each other. Over and over, these books had me asking: Are the partials worth as much as the full humans? Though fantasy, these books force the reader to consider her own view of “The Other” in society. 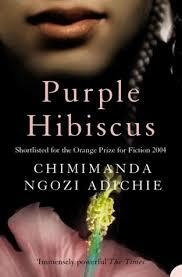 Purple Hibiscus by Chimamanda Ngozi Adichie – If you are a fan of Americanah, you will like this book. Purple Hibiscus is slightly easier to read than Americanah, but it is no less weighty. Kambili, a teenager in Nigeria, has been raised by a religious tyrant of a father. Her father is esteemed at church and well-loved in the community, but at home he is an abuser. This story brings a lot of issues to light: religious fanaticism and its dangers, the social dichotomy of rich/poor, the strength of family bonds, and the reality of life in a country threatened by military coups. 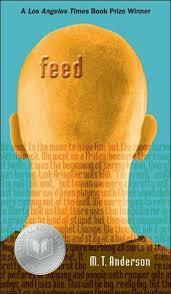 Feed by M.T. Anderson – This is a really weird and interesting book. In the future, things like TVs, radios, and computers have been replaced by feeds inserted in people’s brains when they are babies. The feeds put images, music, movies, news, and ads directly into people’s minds. Titus meets a brainy, interesting girl named Violet who happens to be poor and underprivileged compared to Titus and his friends. (She didn’t have her feed put in until she was 7.) When something happens to Violet’s feed, Titus has to figure out how to respond. This book asks hard questions about both the under-trodden of society and the constant pattern of upward mobility. 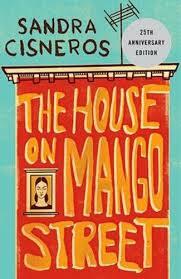 The House on Mango Street by Sandra Cisneros – This is an old favorite. Ezperanza is a Hispanic girl growing up in rough Chicago. This book is more of a collection of short vignettes about her life than an overall narrative, but Esperanza’s life experiences hit you square in the face: She wants a house she can point to, she eats mayonnaise sandwiches for lunch, and she watches all the women in the neighborhood. This is a well-written narrative on what it’s like to grow up wanting more. Such a great list!! Thank you for the recommendations Happy New Year! Thanks for the recommendations, Karissa. I’ve read and loved other Sara Zarr books and I’ve read His Dark Materials (loved the first two, hated the last book though). I loved Americanah; I didn’t realize Adichie wrote YA. These will go on my wish list. This is a fantastic list! I’ve read several of these and will add the rest to my Goodreads .